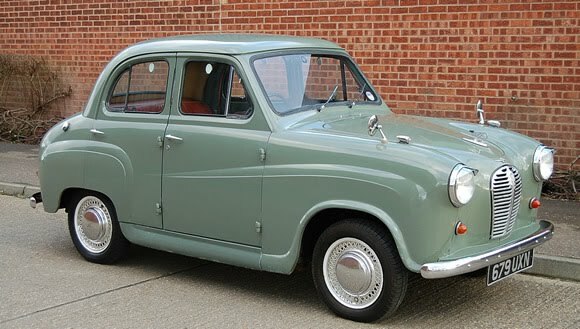 My first car was an Austin A30. The A30 was Austin's answer to the Morris Minor and was smaller and lighter but wasn't as advanced as even the Morris Minor. The A30 was in ok condition when I got it and my dad and I spent a lot of time, and little money, getting it panel beated and painted. I was allowed to drive it around the backyard and sometimes up and down the road. It was great. I was 12 years old. And my parents ask me why I love cars.